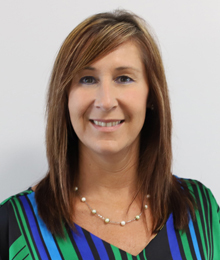 Nicole (Nikki) Workman, director of Communications at Marion County Board of Developmental Disabilities (MCBDD), has made it her mission to inform Marion County of the work that Marion County Board of Developmental Disabilities does in our community. She has found a home in helping those served to tell their stories and have a voice for inclusion and advocacy in our community. Her wish is that ALL people in Marion County are recognized for their strengths and abilities to create a more diverse and inclusive environment where collaboration and creativity provide a better life for everyone. Workman brings with her over twenty years of experience in the communication field. She is a graduate of The Ohio State University in Columbus, Ohio with a bachelor’s degree in the field of Journalism and a minor in Communications. Workman also holds a master’s degree in Communication and Leadership from Gonzaga University in Spokane, Washington. She loves spending time with her husband, Buck, and their three children, Griffin, Bohdi, and Camden. They are avid baseball fans and also enjoy time at Lake Erie.